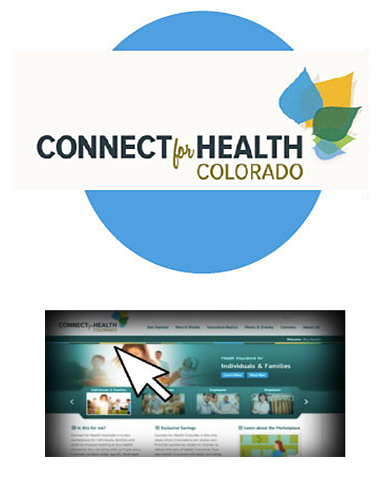 Watch in the videos below as Nanci guides you through the navigation and understanding of Connect for Health Colorado. The enhanced quality and experience of care. 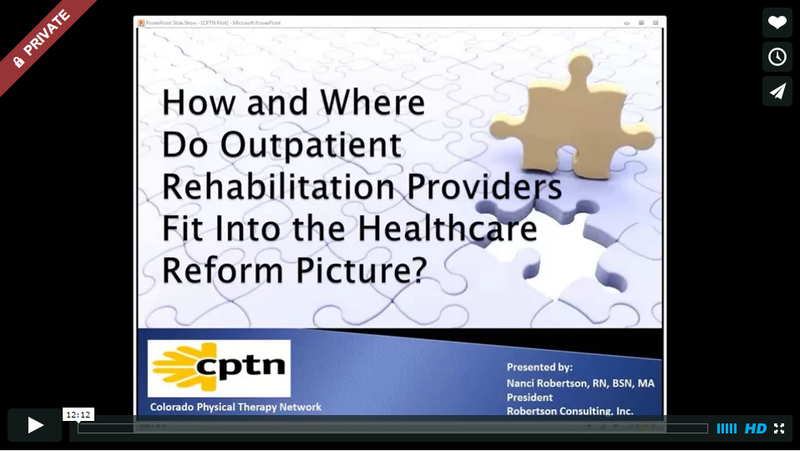 Improving the health of populations and improved access to the right provider at the right time. 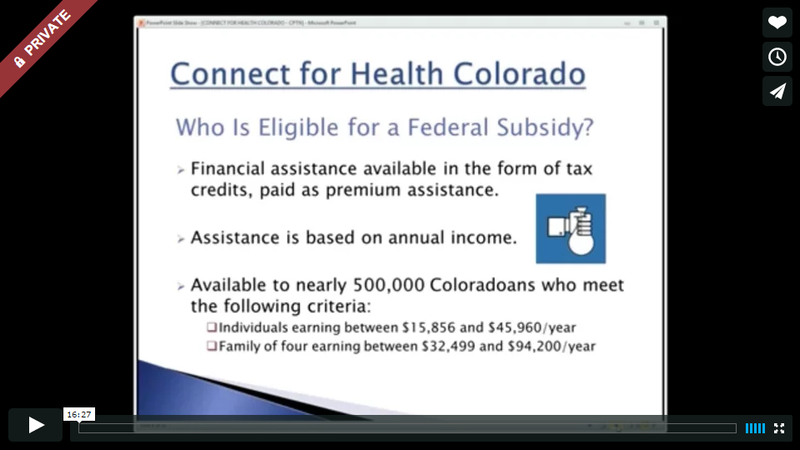 Reduced healthcare costs to manage a person’s health status. These are private videos available only to members. Please use the password to view them.